The Center for Auto Safety is an independent, non-profit organization dedicated to advocating for auto safety, quality, and fuel economy on behalf of our members and all drivers, passengers, and pedestrians. The Center for Auto Safety was founded in 1970 by Consumers Union and Ralph Nader as a consumer safety group to protect drivers. Ralph Nader, the author of Unsafe at Any Speed, believed that automakers and the government were not adequately regulating safety, and an independent outside watchdog was needed. In order to be close to those entities most in need of oversight—Congress and federal regulators—the Center has always called Washington, DC home. 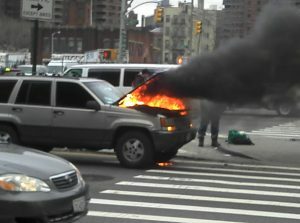 And prevent the sale of unsafe used vehicles and parts that are subject to safety recalls. For 40 years, the Center was led by Clarence Ditlow, a well-known safety champion on behalf of consumers, who passed away in 2016. Clarence’s tireless advocacy had a profound impact on automotive safety, and his actions saved countless thousands of lives. Learn more about Clarence’s legacy. Today, the Center continues our vital role as a watchdog working to protect consumers by representing their interests before the Department of Transportation and the National Highway Traffic Safety Administration, as well as other relevant federal agencies. No matter which party controls the White House, the Center pushes for smart and effective safety regulations, and active and tough law enforcement by state and federal authorities. The Center serves as resource for consumers who have been stuck with a “lemon” of a car by providing an up-to-date and complete database of lemon laws and warranty rights across the United States. The Center also provides a non-governmental, advertisement-free, location for car owners to submit and search vehicle safety complaints. These complaints often lead to the Center spearheading recall campaigns on behalf of impacted consumers. As the automotive industry moves towards a high-tech future, the electric and autonomous vehicle markets will continue to grow. 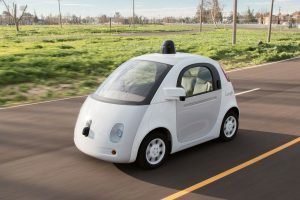 The Center for Auto Safety advocates for government regulations that put the safety of self-driving car users above shareholders and for the fuel economy standards that keep cars efficient and green. We also work to remind the auto industry not to forget about the cars of Today in all the excitement about the cars of Tomorrow. The Car Book: Since 1980, the Center has published The Car Book annually, the most comprehensive consumer guide to automotive reliability and safety. 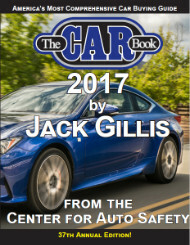 The Car Book provides an in-depth, accurate, and unbiased look at the safety and reliability of every yearly model available to U.S. drivers. Learn more about our best bets from previous years—and be on the lookout for The Car Book 2018, to be available online in early March. 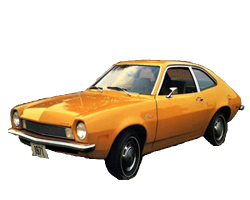 In 1970, Center co-founder Ralph Nader published What to do With Your Bad Car: An Action Manual for Lemon Owners, a handbook to assist car buyers after they purchase a lemon. The Center published Mobile Homes: The Low-Cost Housing Hoax in 1975 in order to inform Americans of the pitfalls of buying a mobile home. The Center first published the landmark Lemon Book in 1980, an action manual for lemon owners, and published Little Secrets of the Auto Industry in 1994. These publications have educated thousands of consumers about their rights when dealing with unreliable and unsafe vehicles. In 2003, then-Executive Director Clarence Ditlow contributed to Sudden Acceleration: The Myth of Driver Error, to expose auto companies hiding critical safety defects from car owners. The Center also provides periodical email updates on auto safety and Center news to it’s members and followers. Sign up for our e-newsletter. Educate the public about global warming and the actions that will combat it. 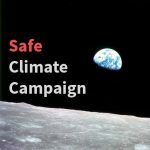 Learn more about the Safe Climate Campaign.